The central American republic of El Salvador has become the latest country to withdraw diplomatic relations with Taiwan, instead following an uninhibited “One China” policy, following a summit between president Sanchez Ceren and Chinese State Councillor Wang Li. This continues a trend of Beijing foreign policy designed to attack Taiwan’s current autonomy and further impede the chances of Taiwan declaring full, recognised independence. This is done via promises of extensive infrastructural projects and aid programs that eventually indebt the countries, as the People’s Republic (PR) of China also looks to expand its influence beyond a regional setting. Taiwan lost another ally on Tuesday [21 August 2018] after El Salvador's president, Salvador Sanchez Ceren, reversed course on his country's diplomatic direction by establishing ties with Beijing. The move isolates the democratic island at a time when China has tried to weaken it on the world stage. Since the late 1940s, China has regarded Taiwan as a renegade province and has pressured countries and businesses to recognize the self-ruled island not as a sovereign nation but as a Chinese territory. The dissolution of diplomatic ties between Taiwan and El Salvador made headlines on Tuesday as more countries shift their allegiance to China. In a nationally televised address, Sanchez Ceren said that El Salvador would embark on trade, development and investment with China, "We are convinced this is a step in the right direction that corresponds to the principles of international law of international relations and the inevitable trends of our time," he said, according to Reuters. In response to El Salvador's move toward building ties with Beijing, Taiwan President Tsai Ing-wen issued a statement accusing China of unprecedented acts of coercion, both military and diplomatic. "During this period, we have done everything possible and undertaken extensive diplomatic efforts," she explained, adding "We have also worked with our international allies, hoping to prevent El Salvador from becoming a battlefield in a cross-strait diplomatic war." The Taiwanese president --whose phone call with then newly-elected U.S. President Donald Trump, nearly created an international incident-- says that China's government has been unrelenting in its exertion of pressure "using the severance of diplomatic relations with El Salvador to crush the will of the Taiwanese people to embrace the world." The termination of relations goes into immediate effect, says Taiwan's Ministry of Foreign Affairs, leaving the fate of the El Salvador Embassy which opened in Taipei in 1976, unclear. Taiwan plans to recall personnel from El Salvador and cease projects with the Central American nation in the days ahead. Chinese State Councillor Wang Yi praised the move, telling reporters that El Salvador will reap "tangible benefits." But officials in the United States were not pleased with the shift away from Taipei to Beijing. Congress has supported Taiwan for nearly four decades and has taken increasingly stronger steps toward recognizing it. 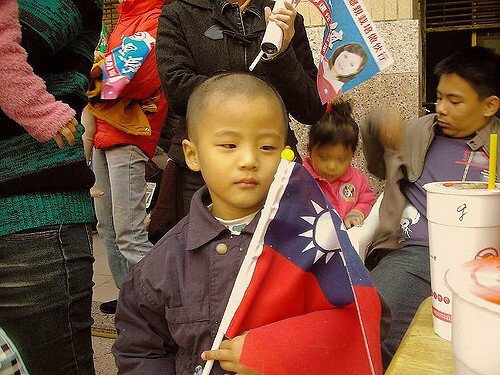 "I think at some point we're going to have to recognize the independence of Taiwan," Rep. Michael McCaul of Texas, chairman of the Homeland Security Committee, said in July during an American Enterprise Institute event, The New York Times reported. "El Salvador has made the wrong decision regarding Taiwan, and it will negatively influence US relations with El Salvador. The US govt must stand up to China's campaign to bully Taiwan with every tool we have," said Sen. Cory Gardner (R-CO) in a tweet. Sen. Marco Rubio (R-FL) tweeted, "Why should we keep sending them [El Salvador] so much foreign aid? Today I will begin work to end that." The U.S. ambassador to El Salvador said the country's decision to switch its allegiance to China was "worrisome" and "without a doubt" will impact U.S. relations with the Salvadoran government. The Taiwanese government has operated separately from the mainland after nationalists fled there in the 1940s, when they lost the civil war to the Communists. Taiwan is officially known as the Republic of China (ROC). Nearly three decades ago, the U.S. adopted a "One China" policy, which formally recognized the Communist government in Beijing — switching diplomatic recognition from Taipei to Beijing in 1979. And yet, Washington maintains unofficial ties through the American Institute in Taiwan, the de facto U.S. Embassy which was established that same year. The United States also plays an important role in preserving Taiwan's sovereignty and sells it advanced weapons. Taiwan became the U.S.'s 10th-largest trading partner in 2016. El Salvador is the fifth country to sever ties with Taiwan in the last two years, following Panama, Burkina Faso, the Dominican Republic, and the African island nation of Sao Tome and Principe. Most of the remaining 17 countries that still have diplomatic ties with Taiwan — including Haiti and Kiribati — are small and developing. The New York Times reports that Taiwan's opposition party, the Communist Party's "preferred dialogue partner in Taiwan," will use El Salvador's defecting from Taipei as a platform to attack Taiwan's president, whose liberal Democratic Progressive Party supports Taiwan's independence. "Taiwan is a democratic and free country. Taiwan will continue to move forward steadfastly," the Ministry of Foreign Affairs said in a written statement. "China's unreasonable suppression will only serve to strengthen Taiwan's commitment to pursuing even greater democracy, freedom and sovereignty."